Each organization faces a huge challenge when it comes to employee communication related to payroll. Traditional forms of communication tend to be hierarchical, are highly fragmented and consume lots of time. “myPayroll” – web based self-service portal offers a solution to all these challenges for both employees and HR/Finance teams. 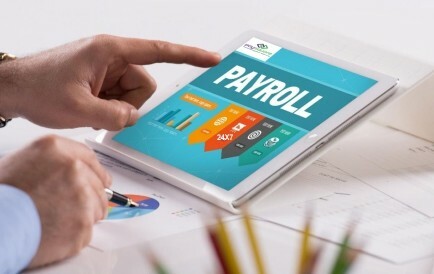 With “myPayroll” from Paysquare, it is now possible for your employees to gain complete clarity on their payslip and tax details. All of this is made possible by a personalized and interactive interface, that delivers a superlative user experience. Paysquare provides access to “myPayroll” through mobile app as well. Employees can use app to access their personal records, payslip and payroll details. It provides easy and secure access to personal records anywhere, anytime. Access to their data such as Payslip, Tax sheet, CTC Re-Imbursements etc. Online Tax Computation with simulated Tax sheet. Self-Explanatory Tax Declaration Forms with limits and eligible deductions. Administrator/Coordinator can download MIS reports 24*7 (Reduce Dependency). Filters readily available for custom reports for e.g. location, cost center, employee grade, employee status SBU, department to create etc. In case employees are unable to access their data from their logins, administrator can provide them with the required data. Administer can login his employee report through “myPayroll”. Readily Available Summary Reports for CTC As Well As Non-CTC Re-Imbursements, loan query Etc.